Emma helped me dye this fabric, which I made up into a coin purse with a flex frame for her to give to her mother. 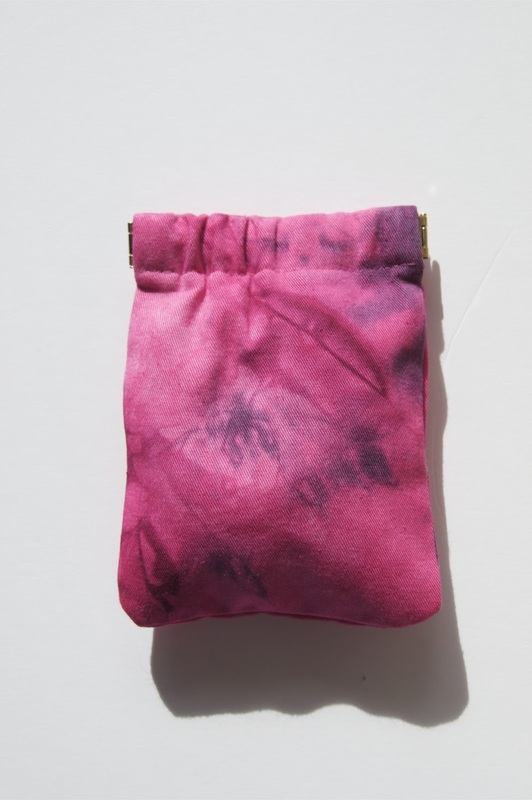 It is lined with purple fabric (pink and purple are Emma's favourite colours, although her mother might have preferred blue) and filled with chocolates. Lovely marks on the fabric and very pretty purse. I'm sure that her mum will love it, and the chocolates.